Round 18 of the 2017 NRL season will feature four matches, including the traditional Rabbitohs versus Roosters clash, which headlines Friday night football. The Roosters and Rabbitohs will clash for the 216th time in their history when they lock horns to kick-off Round 18. Both sides come into this game with opposing form lines. Last weekend, it was the Rabbitohs who turned on their attacking flair and brilliance, crushing Penrith 42-14. For the Roosters, it was their worst loss of the season by far and a bitterly disappointing performance in Gosford. The Roosters trailed all day and were broken open defensively in the second half. Roosters coach Trent Robinson has been critical of the NRL’s fixturing of this match over the Origin period. It’s understandable given that his side will be without four of their best players, including halfback Mitchell Pearce. Replacing Pearce in the halves will be Connor Watson. The Rabbitohs will make no change to the side that toppled Penrith on Sunday afternoon. Their dominance in attack was what keyed their victory on Sunday and they’ll need more point-scoring prowess in this contest, as I forecast it will be a high-scoring and see-sawing match. The Roosters have been inconsistent for most of the season, drifting in and out of games. Last week was the first time they were significantly punished for these lapses. For the Rabbitohs, last Sunday’s win could prove to be the kick-start they needed to give their season some significant lift off. The loss of four Roosters players to State of Origin is what has tipped the balance in Souths’ favour. Their cohesiveness and determination to beat their arch enemy will guide them to a win on Friday night. Prediction: South Sydney by 8. It is Round 18 and it remains a struggle to gauge where the Penrith Panthers are in the grand scheme of the 2017 NRL season. A month of winning football has been followed up with a loss to the Johnathan Thurston-less Cowboys and a pathetic display against South Sydney. Unfortunately for the Panthers, last weekend they resembled the Penrith of the earlier rounds of this season. After sustaining a broken jaw last weekend, Dean Whare is out and replaced by Tyrone Peachey for the Panthers. For Manly, Jake Trbojevic is lost to Origin, with Jarrad Kennedy and Darcy Lussick starting in the back row. After digging their way out of a 16-0 hole in Perth last weekend, Manly defeated the New Zealand Warriors and moved to third on the competition ladder. 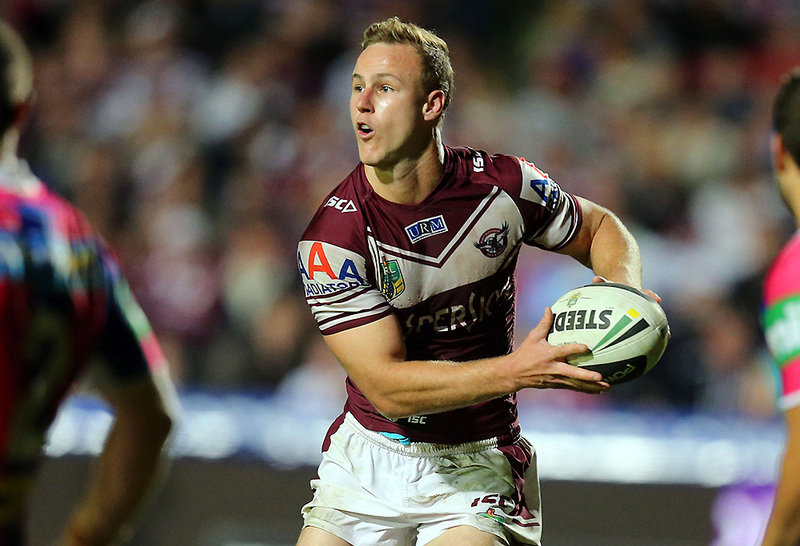 Manly are by far the biggest surprise packet of the season and will be glad that Daly Cherry-Evans wasn’t called up for Queensland’s final State of Origin game on Wednesday. The halfback is playing some great football this year, but Manly players by and large are all playing their part and contributing. If the starting pack is having a down match, as they were last weekend, then their interchange players are able to step up and assert their dominance. The Panthers are the most unpredictable and disappointing side in this year’s competition. After seemingly hitting a rich vein of form, they have fallen drastically to one of the competition’s bottom four sides. By contrast, Manly continue to win, whether it be from in front or coming from behind. For that reason, I believe Manly will take the two points in Penrith on Saturday night. The Melbourne Storm surprised nobody when they crushed the Broncos last Friday night and once again went two games clear at the top of the ladder. It was a clinical, crisp showing from the Storm against a side they well and truly have the wood over in recent times. 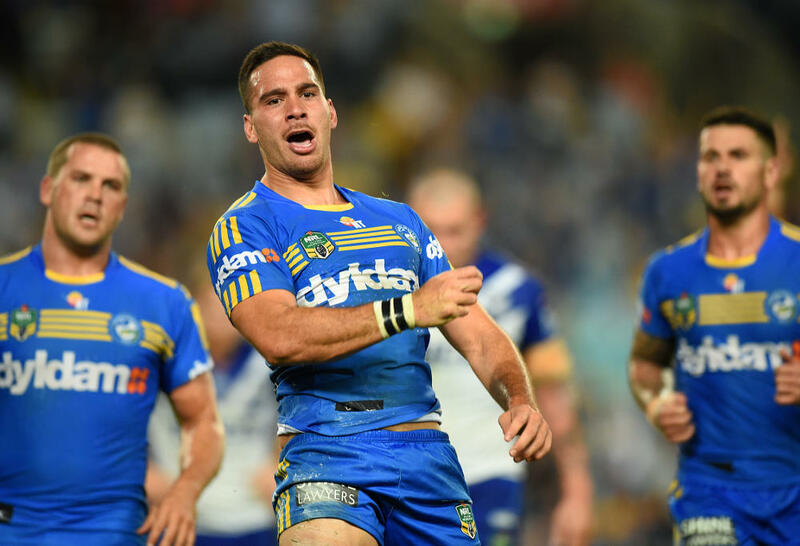 Parramatta ground out a determined Bulldogs side, despite having little second half position. It would be unjust to describe the Bulldogs’ advantage in the second half as an onslaught, but the Eels did well to contain the Bulldogs given the numerous chances they had inside the 20m line. The Eels will see this match as a real opportunity to gain a rare two points in Melbourne given the Storm are missing Cameron Smith, Cooper Cronk, Will Chambers, Billy Slater, Tim Glasby and Cameron Munster to State of Origin duty. The Storm have acquitted themselves well this season without their Origin players, defeating the Cowboys by a point and losing to the Roosters by that same margin. The Eels’ continuity and dominating halves pairing of Mitchell Moses and Corey Norman will be the difference in this match. The Storm have lost an enormous amount of quality from their line up and the unproven combination of Ryley Jacks and Brodie Croft will certainly need some time to become acquainted with one another. The Storm will fight gallantly, but those key connections which they live off, particularly in their backline plays, won’t be as crisp. Kick-off: 4:00pm at Belmore Sports Ground. The Bulldogs will be desperate for a win at Belmore this Sunday afternoon when they take on the bottom of the table Newcastle Knights. For the Dogs, last weekend was something of a mini-final for them and they failed to produce the goods. This weekend will surely be their last roll of the dice if they hope to make finals and they will essentially have to win all their remaining games to feature in September. For the Knights, after competing so valiantly week after week, obtaining leads and being unable to close games out, they were dominated by their closest rival in this year’s competition, the Wests Tigers. Understandably, the knives have come out for coach Nathan Brown and his charges will certainly be fired up this weekend after their meek showing. The Bulldogs lose considerable firepower with the likes of Brett Morris, David Klemmer and Josh Jackson all representing New South Wales. They have been replaced in the starting line up by Kerrod Holland, Sam Kasiano and Raymond Faitala-Mariner. The Knights will be without Dane Gagai and have curiously left Brock Lamb out of their side, despite the horrible showing from Trent Hodkinson last weekend. The former NSW half looked a shadow of his former self and can count himself lucky should he line up for Newcastle on Sunday afternoon. In a must-win game in front of their Belmore faithful, the Bulldogs will be able to beat this Newcastle side minus their best half in Brock Lamb and without the versatile Gagai. If the Knights can’t beat the Tigers at home, then I simply can’t tip them against the Dogs at Belmore.